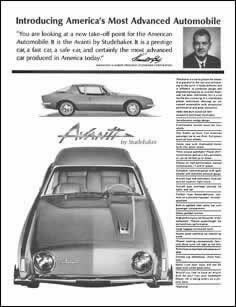 Early Avanti models used a prototype logo not continued on the production cars. This logo is visible on a car in the August, 62 issue of Sports Car World and in a 63 issue of World's Fastest Sports Cars. 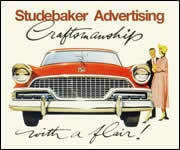 Studebaker's "Advanced Ad" shows the same car with the standard logo. The solid color, all leather interior was not standard. Advanced ad uses standard logo. 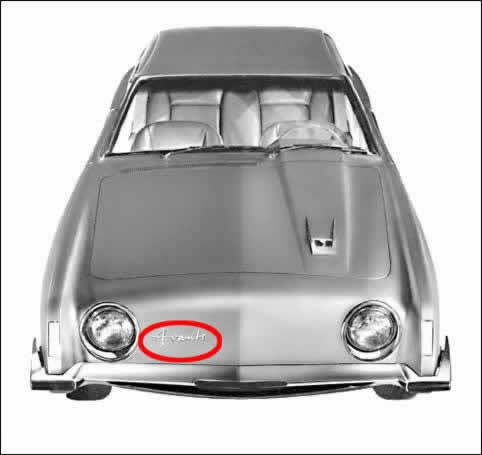 Early image of the Avanti showing a rejected prototype logo. Standard logo used on the production model Avanti. Closeup of the early logo.